Christopher Graney is a BJJ Black Belt under Luigi Mondelli. 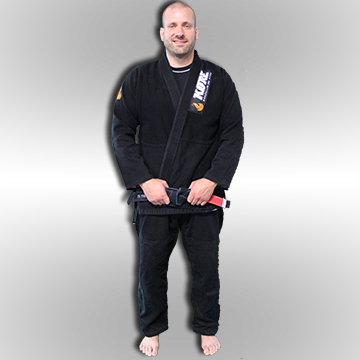 He has design our BJJSEP (BJJ Specific Exercise Progression) system. Chris is one of the instructors in our Instructors Camp. Chris is the Education Director for BDx Fitness. He conducts staff education in the BDx facility, and has studied and taught nationally in the areas of Biomechanics, Exercise Mechanics, and the Analysis of tools used to impose forces into the bodies of clients, athletes, and patients. As a Biomechanics Specialist, Chris works with the identification and treatment of muscular imbalances that contribute to compensation and repetitive stress injury. Chris is the Biomechanics Consultant to Professional Athletes including NFL, MLB, and MMA. Notable Clients include Odell Beckham Jr (NFL), Rashad Jennings (NFL) Russell Martin (MLB), Glover Teixeira (UFC), among others.